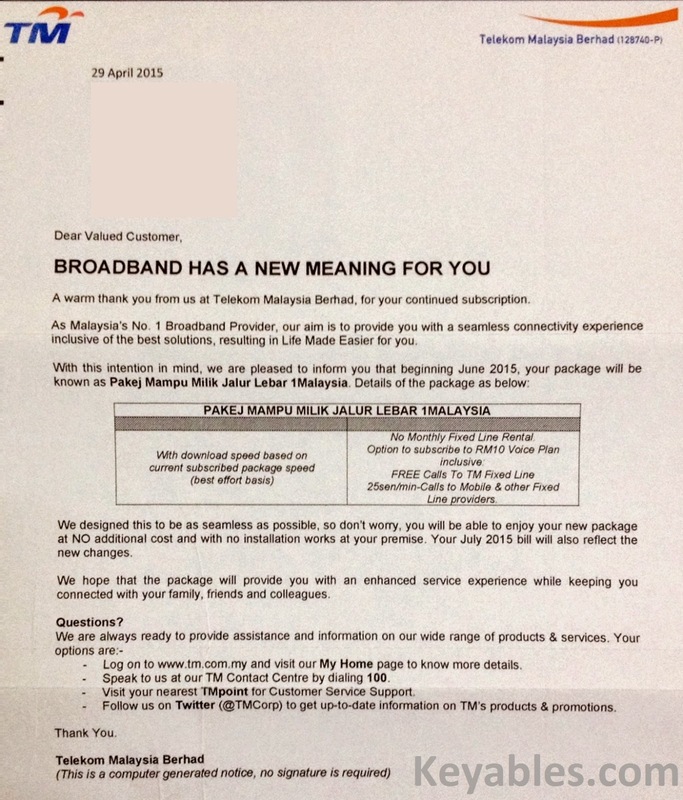 In conjunction with Malaysia's National Broadband Initiative, the telcos are offering broadband service at lower price. One of the supporting effort made by Telekom Malaysia Berhad, TM Streamyx Cool Unipack will be known as Pakej Mampu Milik Jalur Lebar 1Malaysia, effective June 2015. Based on the details mentioned on the letter, there will be no changes except the Package name and option to subscribe RM10.00 free calls to TM fixed line. To recap on the TM Streamyx Cool Unipack, offered in 2010 for full time Diploma or Degree Malaysian students, free HP netbook, download speed 384 Kbps - RM38, 512 Kbps - RM53, 1 Mbps - RM68, 2 Mbps - RM83 & 4 Mbps - RM88.